Increasingly, health professionals recommend that people of all ages protect their eyes from excessive blue-violet light exposure. 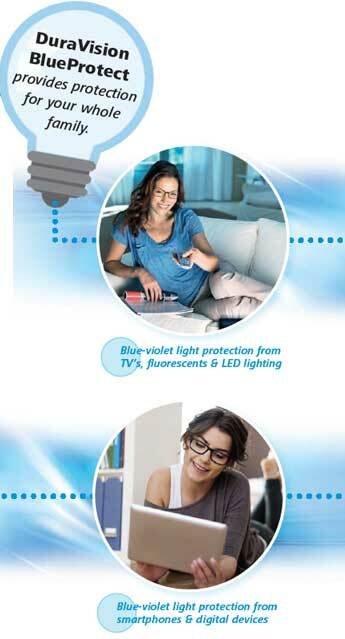 Your eye doctors at Texas State Optical Fort Worth offer the latest in blue protect lens coating and technology. Make an appointment today at our Fort Worth eye care center and find out more about why ZEISS DuraVision BlueProtect is the preferred choice for blue screen protection.